In 2017/18, there were 71,062 workers who suffered a non-fatal workplace injury. These injuries resulted in a whopping 3.9 million working days being lost, costing the UK both money and productivity. It is naturally beneficially for both employees and employers to ensure that workplace safety is a top priority within their company in order to avoid any expensive accident at work scenarios. For 2017/18, the construction industry suffered the highest amount of fatalities in its workforce, with 38 deaths recorded. Agriculture had 29 deaths, and manufacturing suffered 15 fatalities. These industries in particular often require certain safety equipment to abide by health and safety regulations – and wearing the equipment could separate your employees from a near death experience and a non-fatal injury. One example is using a hard helmet on a construction site to avoid head injuries. If your staff fail to wear the required hard hat, any of those injuries could be a direct cause of not wearing the correct safety equipment. 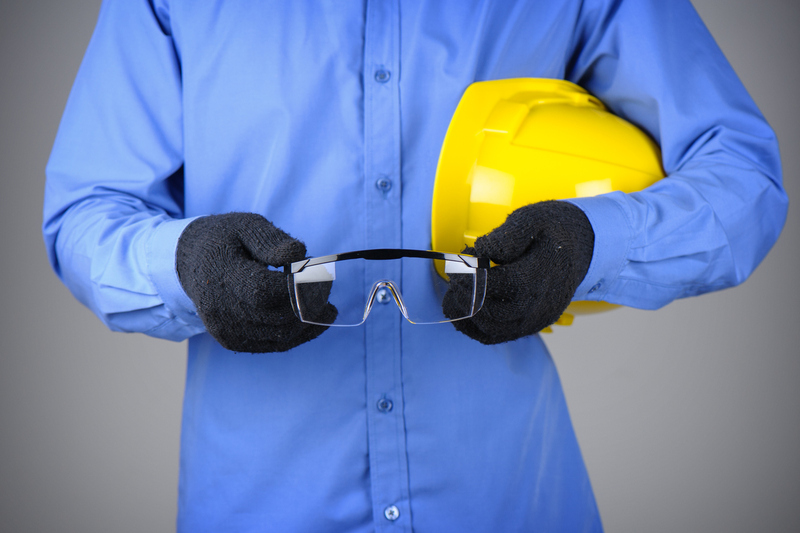 Protective glasses should also be worn by employees that are exposed to debris, dust and bright lights that could damage the employee’s sight. There are so many protective pieces of clothing available now. These include steel toe cap boots, hi-vis clothing, safety gloves and noise cancelling headphones. Implementing a work policy that says your staff are required to wear safety clothing and equipment is the first step to preventing workplace injuries that could lead to fatal deaths or long-term work absences, which cost your company money. For reducing risk in any industry, training your staff should be high on the list. Every employee should be briefed on the safest fire exits around the premises, as well as what the procedure is in case of an emergency. In fact, many premises are permitted to carry out practice fire drills to ensure all members of staff are aware of the routine. There are a number of other safety areas to consider too. In the manufacturing industry, which is the third most dangerous environment for fatal injuries in the workplace, some job roles require particular training and qualifications to use machinery. Where hazardous or dangerous machinery is involved, staff must be trained on how to use it – and must use the correct safety equipment and clothing at all times. 135,000 of the 555,000 non-fatal injuries in 2017/18 led to over 7 days of work absence — providing your staff with the appropriate training could save you a big cost seen through a loss of working hours due to workplace injuries. Individual employees may require further training too. For instances, some processes will need employees to gain the correct certification to be able to carry them out with reduced risk of injury. For example, in the construction industry, any employee who will be navigating a crane will require a Construction Plant Competency Scheme (CPCS) licence. Internal audits are a beneficial way for companies to monitor the processes within their workplace in order to continuously improve them and look out for developing risks. For example, slips, trips and falls caused 31% of non-fatal injuries in the workplace in 2017/18. The main causes of slips, trips and falls in the workplace are uneven floor surfaces, unsuitable floor coverings, wet floors, changes in levels, trailing cables and poor lighting – all of which can be prevented or marked out safely if the proper regulations are followed. Legally, businesses must follow The Workplace (Health, Safety and Welfare) Regulations 1992, which stipulates that employers must ensure that floor spaces are in good condition and free from obstructions. Furthermore, the Health and Safety (Safety Signs and Signals) Regulations 1996 legally require businesses to provide and display the appropriate safety signs when there is a potential risk too – whether that is a wet floor sign, or signs indicating loose cables or exposed electric cables. Safety measures are important for employee welfare, but they are also important in terms of protecting a company as a whole.